How We Ranked These Products to Amazon Page 1 without Giving Away Anything? Are you still giving away thousands of products for higher ranking? Here are some of the 1st-page ranking we achieved lately without giving away a single unit. The method we are using is called "Popularity Velocity". What is the "Popularity Velocity" Method? How to Maintain Your Product on Page 1 Forever? How to Choose the Best Keywords for Launch? In a word, to make your product look popular in Amazon's eyes for the targeted keyword. This is our newly innovated software after testing hundreds of products and keywords for months. And after upgrading it a few times, the software is finally ready to be made available to the public. If you think the way we make your product popular is to send a lot of traffic and wishlists to your product, you are totally wrong. How do you make sure? After we start ranking your product, you can simply monitor your daily traffic and impression data in your sellercentral business report and see if you get a huge traffic spike during that period or not. Old method to send thousands of clicks and wishlists from fake accounts. Giving away hundreds of units daily for a week or thousands of units in a day. Boost your product's popularity in Amazon's eyes using algorithm software. $3k to $10k depends on product cost and keyword competition. Safe if you do it in the right way. 100% Safe as you are not manipulating anything, traffic or sales! Ranking will drop fast if the sales volume cannot maintain. Ranking will maintain if you closely follow the steps we provided in the next section. Since our software is not sending huge traffic which decreases your conversion rate, or generating sales spike which makes your organic sales hard to catch up, it is generally easier to maintain your ranking on page 1. But that doesn't mean you don't need to do anything! The key is to improve your conversion rate. If your conversion rate is bad, ranking will drop as well. Make sure your product is fully optimized with good images, main and related videos, description, reviews and QAs. You don't need to have lots of reviews to do launch, 20 is a good starting point. But please make sure you have upvoted your best reviews to the top and pushed down the bad ones to make them invisible. Choose the right keywords! (Explained in the next section.) It is recommended to rank 3 keywords together per listing to drive the most sales. Closely monitor your ranking daily with our free ranking tracker. Start to get your product appear on best seller's Frequently Bought Together section while generating sales velocity at the same time. Gradually reduce your bid and you will be surprised to see your ads maintaining on the first page, which is because our popularity velocity method makes your product look popular in Amazon's eyes, so they are willing to show your ads to buyers even if your bidding is lower than your competitors! Continue to drop your bid while maintaining your ads on the first page and reduce your coupon to 5-10%. See your organic ranking staying on the first page and growing gradually to the top! Why you shouldn't aim those super competitive keywords during your launch? You will not stay on the first page for long even if you followed the strategies above. Thus we included an analyzing system in our keyword booster tool. When you enter the keyword, it will automatically help you analyze the competition and inform you to change another keyword if this one is too competitive in order to deliver the best result for you. So how to find the best keywords that can generate you lots of sales? The only accurate data source is Amazon ASIN Report of your competitors. This report shows you exactly how many organic sales of your competitor's product are generated by each keyword. Check out the example at the left, if you choose your keywords base on searches, you will aim for "car accessories" which is super competitive. The worst part is, even if this is the most searched keyword for this product, it is not even one of the top 10 converting keywords. They look long tail, but they bring the most sales which is the only thing we want! We always recommend our users to rank for 3 keywords together. The result will be much better than ranking for 1 keyword alone! Because once we ranked all 3 of them on page 1, it will triple the sales of 1 keyword which makes your organic sales catches up faster. So these 3 keywords are kind of helping each other automatically rank higher and longer! If you have other questions about this keyword ranking tool, we got them answered on the FAQ page here. But please make sure you get all your bad reviews removed before you start to boost rankings. For sellers who have never tried this method before, rest assured this algorithm is 100% safe for your seller account. 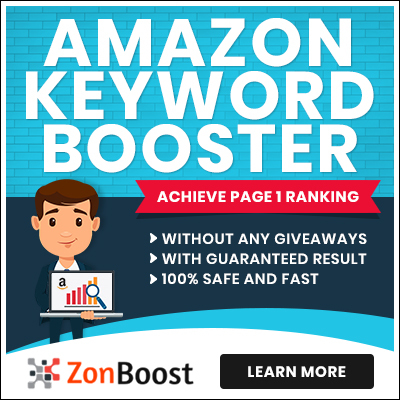 There is 0 risk associated with launching your product with the keyword booster. Try it once and you will get addicted! Rank My Keywords to Page 1 Now!